Actual BW 81 lbs. Weigh Date: 4-10-19, 1316 lbs. 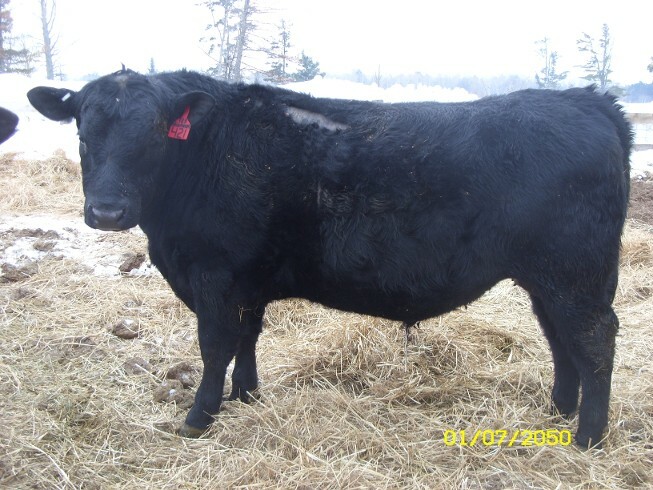 R-421 is another bull we are offering out of Sitz Rainmaker who is one of the most complete A.I. sires I've ever used. His offspring are gentle, bulls carry large scrotals, and all offer terrific growth while keeping a moderate frame. Weaned @ 221 days weighing 819 lbs. Really terrific numbers across the board on this guy, holds the top spot for carcass weight this year @ +61, puts him in top 5% for that. Appears to be third best for $ Beef @ +174.79, top 3%.